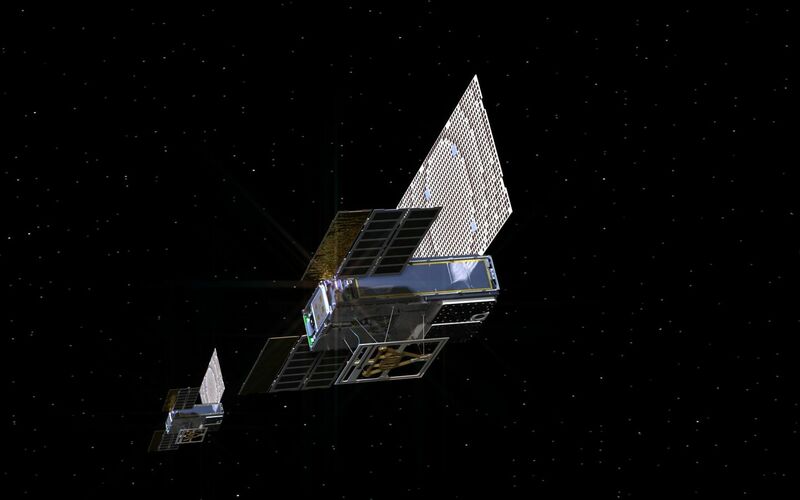 An artist's rendering of the twin Mars Cube One (MarCO) spacecraft as they fly through deep space. 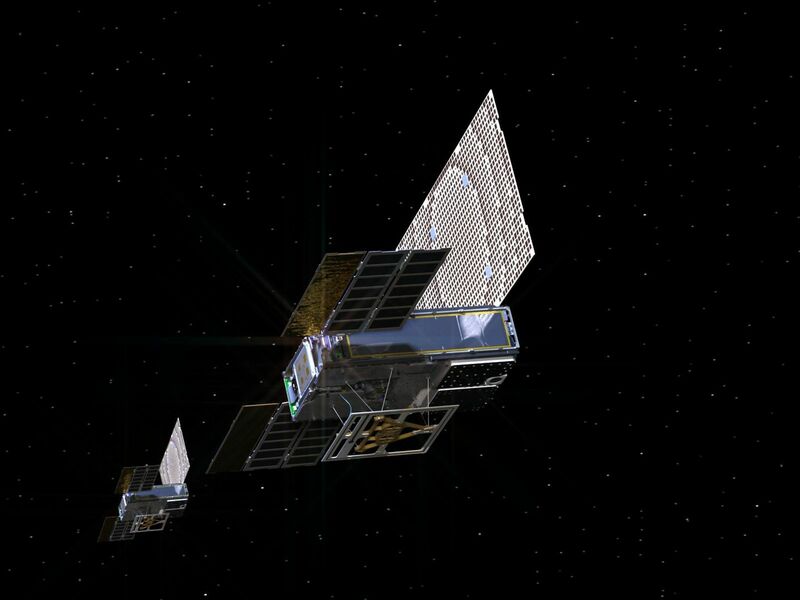 The MarCOs will be the first CubeSats -- a kind of modular, mini-satellite -- attempting to fly to another planet. 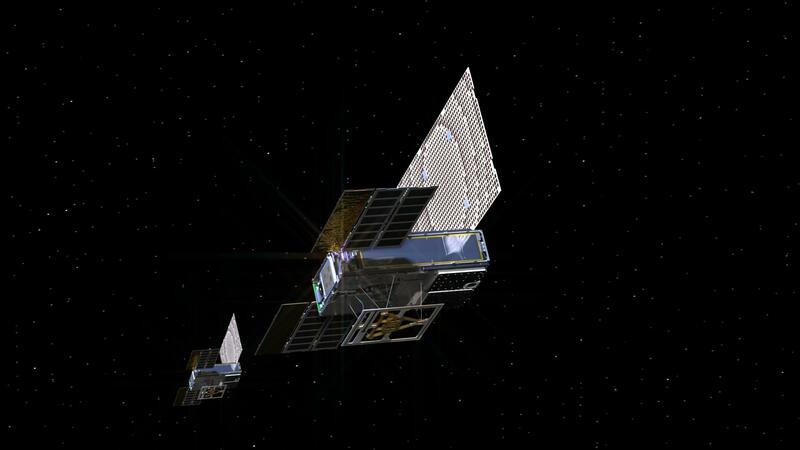 They're designed to fly along behind NASA's InSight lander on its cruise to Mars. 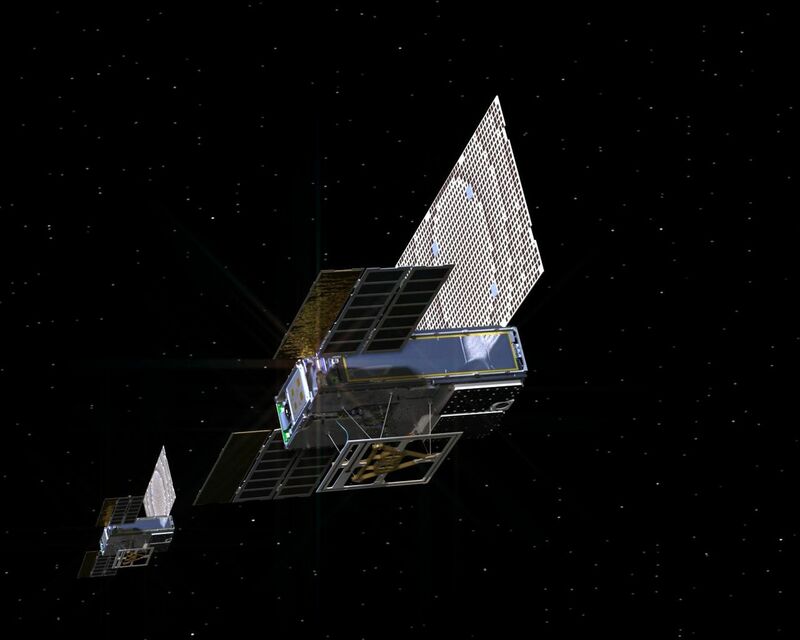 If they make the journey, they will test a relay of data about InSight's entry, descent and landing back to Earth. Though InSight's mission will not depend on the success of the MarCOs, they will be a test of how CubeSats can be used in deep space.